Scouts of all ages are welcome at the Michener! Boy and Girl Scouts of all ages can earn a variety of visual arts and arts related badges, or simply enjoy a day at the Museum, by participating in a Scout Workshop at the Michener. 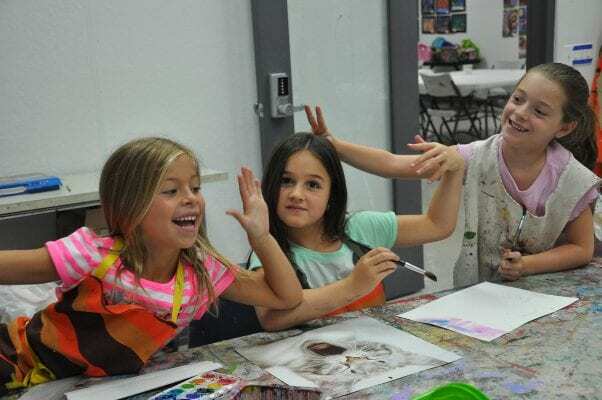 Themed programs are scheduled throughout the year; you may also call to schedule a private art class, tailored to address your Scout troop’s specific needs. Scout groups may join us in the galleries and the art studio to learn about Pennsylvania Impressionist paintings, see the special exhibitions, learn about George Nakashima, and create an original work of art. Scout leaders are welcome to call and schedule this Museum adventure for their individual troop. The program fee of $12 per Scout includes Museum admission and materials; a fee of $15 per Scout includes admission, materials, and a Michener Scout Arts Patch. Siblings are welcome to participate in the workshop for the same fee. One chaperone for every six students is admitted free; all other chaperones pay a $12 reduced general admission fee. Scholarship funds may be available for Scout troops working with underserved communities, Special Populations, or diverse learners.